The Indiana Writers Center’s annual Gathering of Writers, Only Connect: Prose, Poetry, Passion, will take place on Saturday, March 21, from 9:30 a.m. to 5:00 p.m., at Indiana Landmarks Center downtown. Writers from around the state have been invited to attend this full day of classes and panel discussions on the writer’s craft, including a keynote address by Scott Russell Sanders, award-winning author of twenty books of fiction and nonfiction, including Hunting for Hope, Earth Works, and Divine Animal. Among his honors are the Lannan Literary Award, the John Burroughs Essay Award, the Mark Twain Award, the Cecil Woods Award for Nonfiction, and fellowships from the Guggenheim Foundation and the National Endowment for the Arts. In 2012 he was elected to the American Academy of Arts and Sciences. He is a Distinguished Professor Emeritus of English at Indiana University. The 2015 Gathering of Writers is made possible by grants from the Indiana Arts Commission, and the Arts Council of Indianapolis, with in-kind support from local businesses, including Einstein Bros. Bagels and Marsh Supermarkets. To register for the 2015 Gathering or learn more about this and other programs offered by the Writers Center of Indiana, visit www.indianawriters.org or call 317-255-0710. About the Indiana Writers Center: Founded in 1979, the Indiana Writers Center is Indiana’s only comprehensive community-based literary service organization. 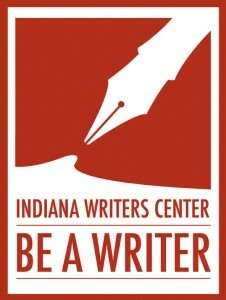 The mission of the Indiana Writers Center is to educate, inspire, connect,and support Indiana writers working at all levels and in all genres; to recognize excellence in Indiana literature; and to provide outreach programs designed to bring forth the voices of people who are not usually heard. It advocates for writing and literature as essential to a community that values clarity of communication and honors diversity, tolerance and compassion.